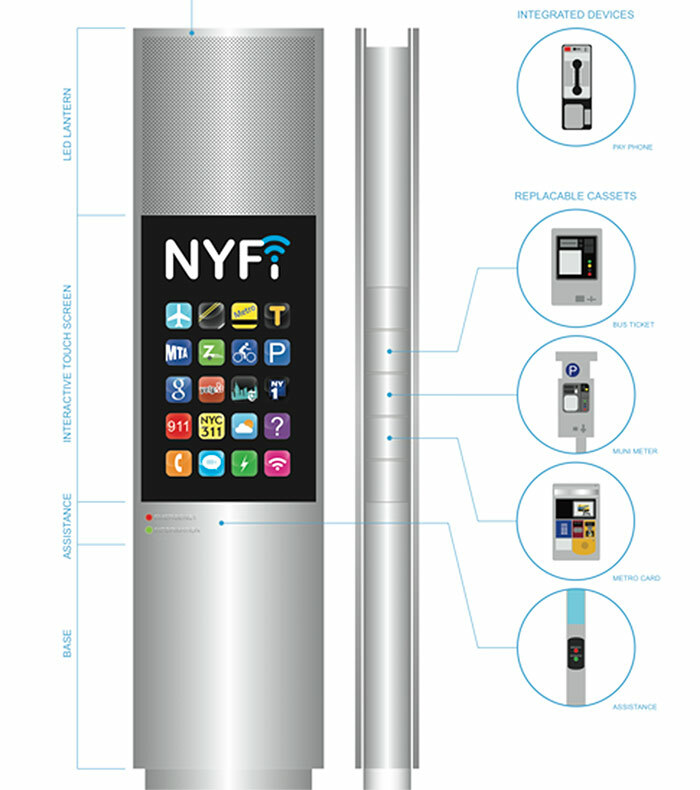 The people have spoken (well, “clicked”) and the votes are in—NYFi wins the Popular Choice Award for Mayor Bloomberg’s “Reinvent the Payphone Design Challenge!” The winners of the Connectivity, Visual Design, Creativity, Functionality, and Community Impact categories were announced in early March but the Popular Choice winner was decided last week by public vote via the City of New York’s Facebook page. 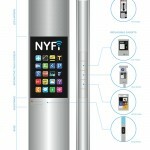 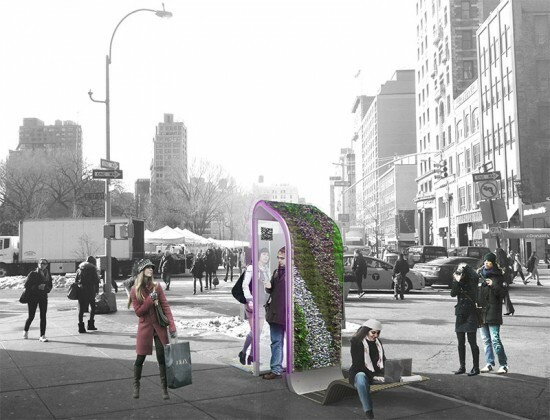 If Sage and Coombe Architect’s NYFi portal is chosen to take the place of the space-consuming single-function payphones dotting Manhattan’s sidewalks, pedestrians will be granted free access to an interactive portal that provides public information, free wireless Internet access, and transportation services (including metro card and bus ticket dispensers). 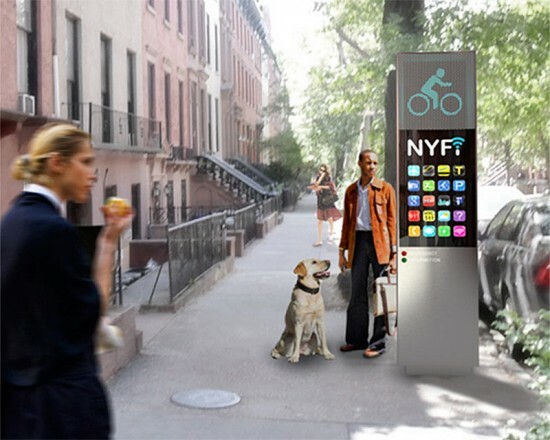 The NYFi was designed in two sizes: a ten-foot model for commercial districts and a smaller version for residential neighborhoods. 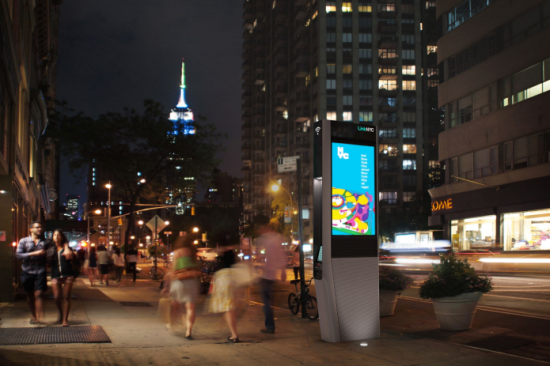 The communications hub features life-sized iPhone-esque qualities such as a minimalist design, a touch screen, and apps, which can be upgraded to respond to the rapidly changing needs of New York City.